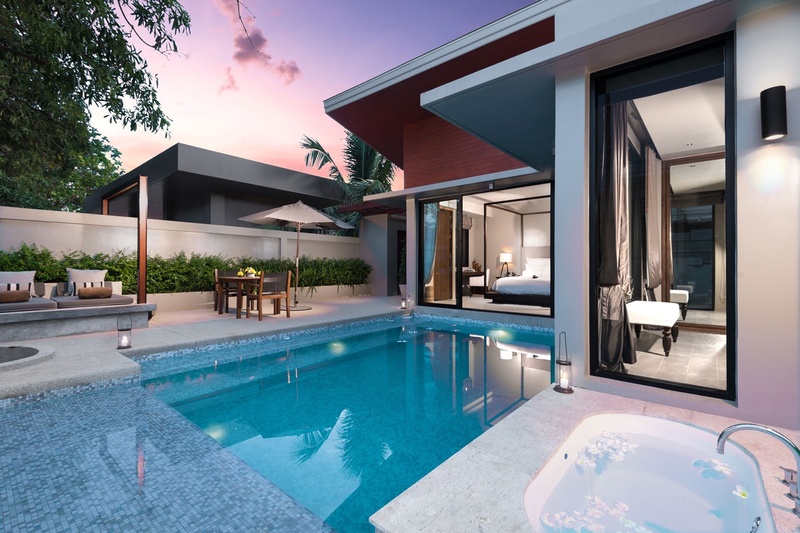 Located on the sunset side of the Andaman Sea and the pristine Natai Beach, Aleenta Phuket Resort & Spa in Phang Nga is just 20 minutes north of the Phuket International Airport, a short distance away from the Blue Canyon Golf Course and the picturesque Phang Nga Bay. Passionate about the environment, Aleenta Phuket Resort & Spa was recently awarded as Thailand’s Best Small Green Resort. Ayurah Spa & Wellness centre, offers a rejuvenating journey of well-being and balance of body and mind. The sanctuary takes a more medical and results-oriented approach to wellness, with rejuvenating spa treatments and spa therapies. 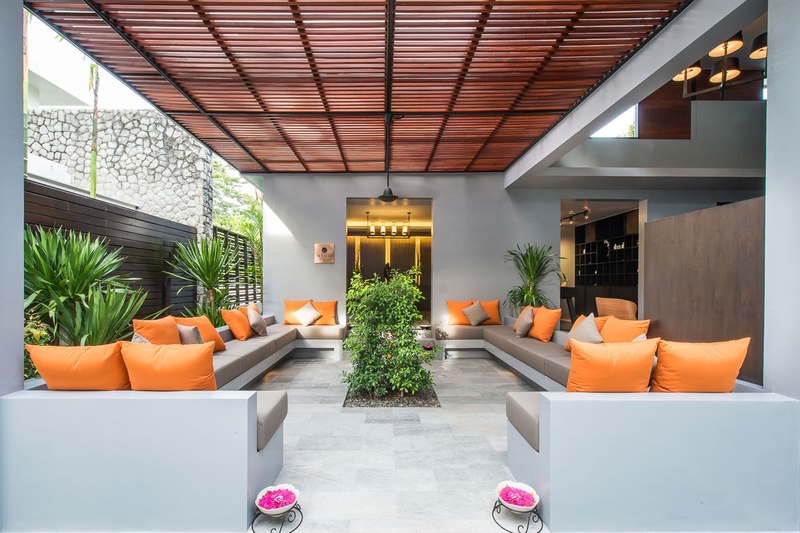 As well as an array of holistic and cutting edge therapies, high-end facials are also on the menu as the spa is Thailand’s only home of the exclusive and sought-after Linda Meredith range of skincare products. The concept of “all suites, all private” is delivered at Aleenta Phuket-Phang Nga Resort & Spa. Boutique resort accommodations range in size from 80 sq.m. 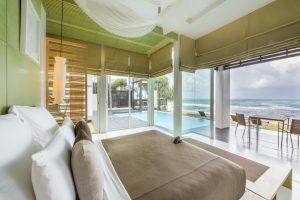 ocean view lofts and pool suites, to the impressive beachfront Grand Villa Satis with 4 bedrooms. 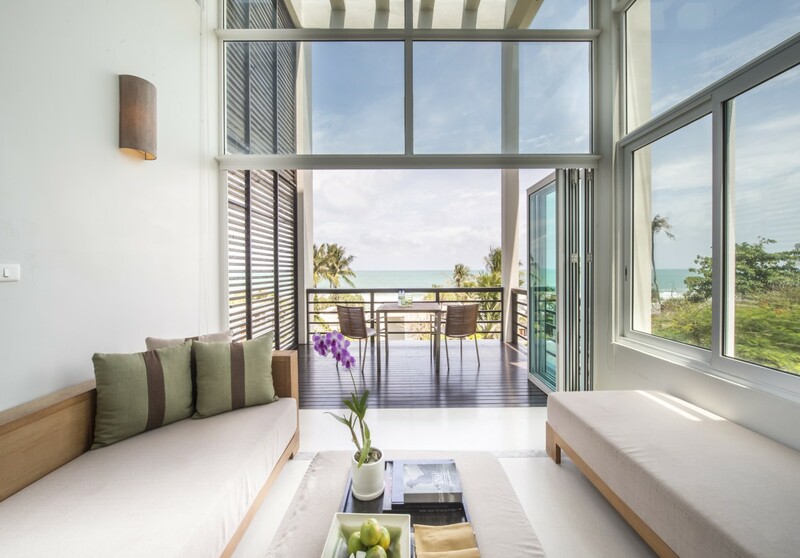 Design is contemporary – utilising wood, glass and slate – and every room gazes out over the Andaman Sea through floor to ceiling windows. The Edge is an exquisite dining destination located just steps away from Natai Beach. 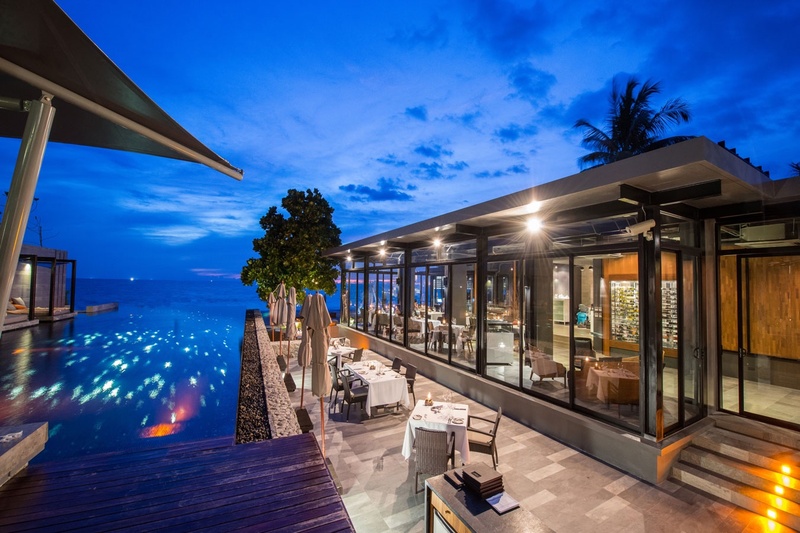 The Natai serves up contemporary Thai cuisine prepared using the freshest local ingredients. 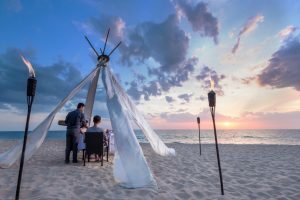 Head to Sand Haven for a seafood BBQ dinner under the stars, or experience an authentic Thai dinner, family style, in a setting on the beach. Aleenta Children’s Club tailored for ages 18 months to 10 years old. A cool boutique hideaway environment where parents can relax while the children engage in educational and fun activities. Professional nanny service also available. One Hour flight from Bangkok International Airport. Direct Flights to Phuket International Airport. Hotel Transfer or Public Taxi. Phuket, Thailand. Doesn’t exactly conjure images of peaceful nights and quiet luxurious romantic moments does it? Yet just 40km outside of the madness of Phuket town, sits the Aleenta Resort and Spa.Aleenta is perched on Natai Beach, one of the few undeveloped and unspoiled coastlines in Thailand. The white sandy Natai beach has been awarded copious amount of stars for it’s cleanliness and water quality – that’s something to be proud of. And Aleenta is passionate about the environment. 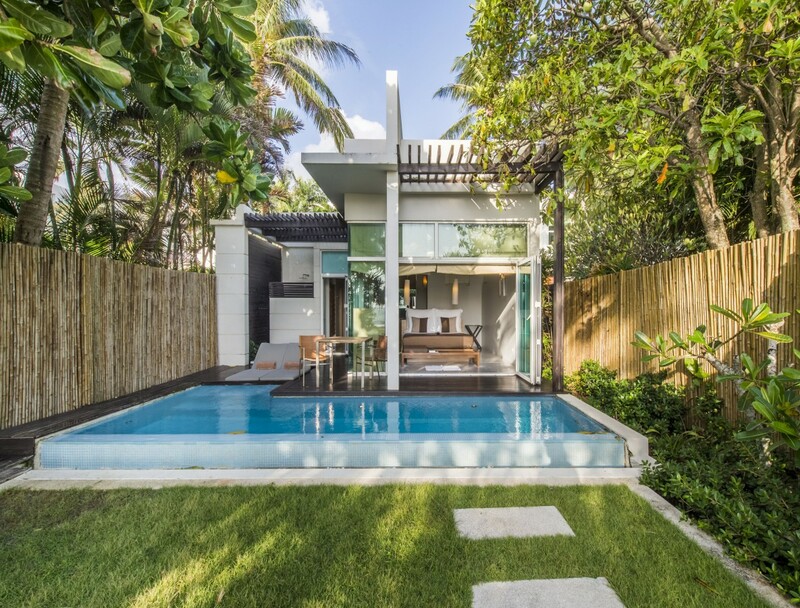 Since the stretch of coastline is so undeveloped, they have been sure to design the hotel with an ‘Outside Living – In’ philosophy, and in fact have recently been awarded with the status of Thailand’s Best Small Green Resort. 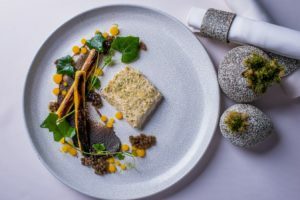 One of the many joys of Aleenta is that it is far enough away from the fray that you feel blissfully isolated, yet you’re close enough to mosey into town to be in thick of it, should you so wish. Win Win. It’s a boutique hotel and the gang here sure don’t mess around when it comes to putting the “Boutique” into practice. In fact I would go so far as to say that this place is “seriously boutique”. The concept is ‘all suites, all private’ and it does exactly what it says on the tin. 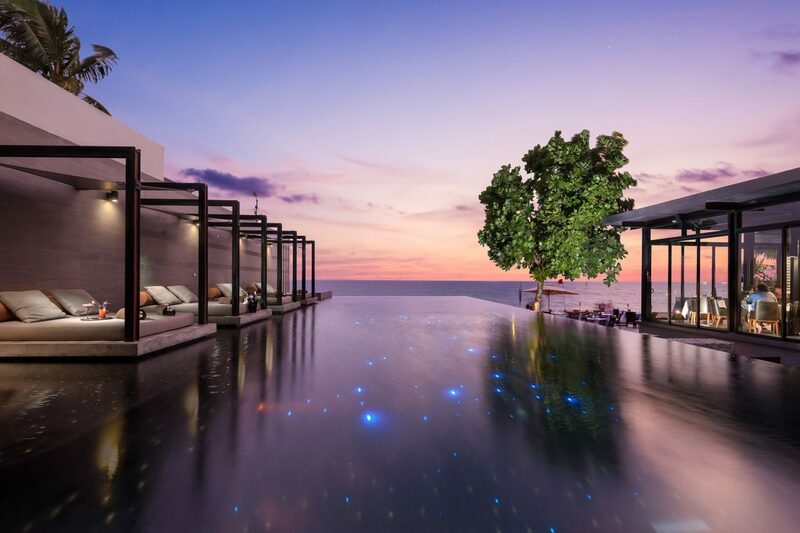 Private hovering sala beds by the infinity pool, and submerged swim up bars. Koi fish ponds line the path to your room, with outdoor showers and the beach at your fingertips. Staff are happy to grant your every wish, in fact, they were the happiest staff I’ve ever come across. I guess I too would be smiling all day if this blissful haven was my office! The Ayurah Wellness Centre is a haven within a haven. It bills itself as ‘a sanctuary of mind and body’ and that’s just what it is. Its extensive spa treatments – all based on the 4 elements of moon, sun, earth and sea – combines facials, steam baths, wraps, scrubs and massage. The philosophy ‘Eat Well, Live Well, Be Well, Look Good’ informs you of the spa treatments and spa services offered. The ‘Look Good’ part is well and truly taken care of here. Ayurah have secured Thailand’s exclusive use of facialist-to-the-stars Linda Meredith’s skincare range. Known as the ‘Queen of Facials’, Linda Meredith’s list of celebrity clients is legendary, boasting names like Madonna and Gwyneth Paltrow. I sampled the Haute Couture facial which is individually designed for each client. After cleansing, a thorough consultation was carried out by the therapist to assess my skin. A product was then applied to plump my skin before five minutes of steam was used to open the pores. Gentle extraction was then carried out, followed by a natural micro-glycolic serum to remove dead cells and clean deep beneath the surface. Its anti-bacterial effect helps with the reduction of everyday breakouts and both removes dead skin cells and softens fine lines and wrinkles. A fine layer of glycolic was applied to my sensitive skin, which was removed immediately. Finally I enjoyed a massage and mask. My skin was literally glowing! The treatment menu is full of cutting-edge, anti-ageing therapies, age defying treatments, and comprehensive facial treatments. Try the oxygen masks, peptide injections, and advanced techniques which include the latest light therapy technologies. You can also take part in the therapeutic spa programmes including meditation, yoga and tai-chi and supervised detox sessions. 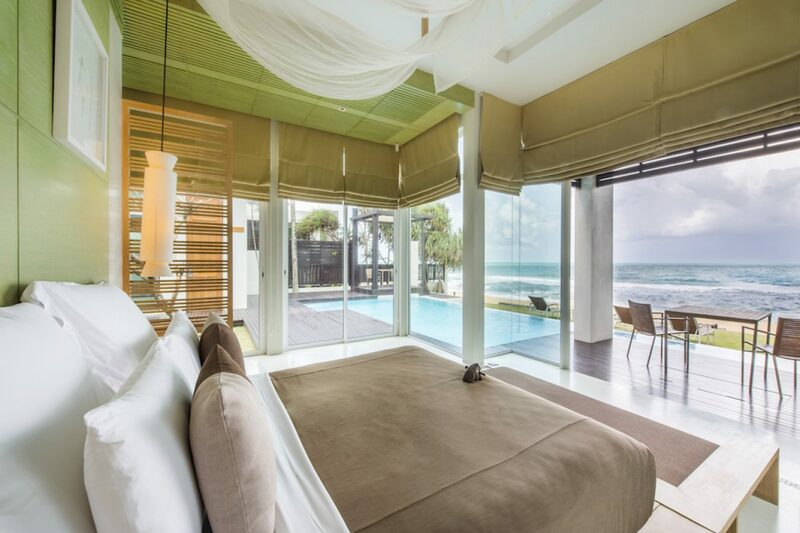 Every room at Aleenta gazes out over the Andaman Sea through floor to ceiling windows. Oodles of privacy is a given in each of the villas and suites here. All are a pebble’s throw from the private beach, but should you decide to avoid sand in your Missoni bikini bottoms, most accommodation has its own private pool. The design is contemporary – wood, glass and slate are abundant, as is the amount of space. Our suite was massive, with retractable glass walls opening onto the pool first, which in turn lead to the separate living room. Simple, clean lines and natural materials make for the most luxurious ambiance. The creature comforts here are impeccable – beds are custom-made and sheets are made from a custom-milled variety of 360 thread-count Egyptian cotton. Each night a special Thai bedtime story is left on your bed and oils are lit in the corner. DVD players and pre-loaded iPods are also on hand. 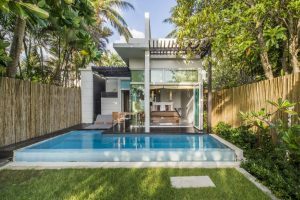 Choose if you can, between one of the 34 lavish pool villas – Ocean-View Lofts, Pool Suites or Pool Villas – or for families, there are one, two or three bedroom pool or beachfront villas. Each of the private two-storey houses have three en suite bedrooms, a spacious living area with high ceilings, a modern kitchen, a state-of-the-art home entertainment system and a personal butler service – a dream hideaway for families!! 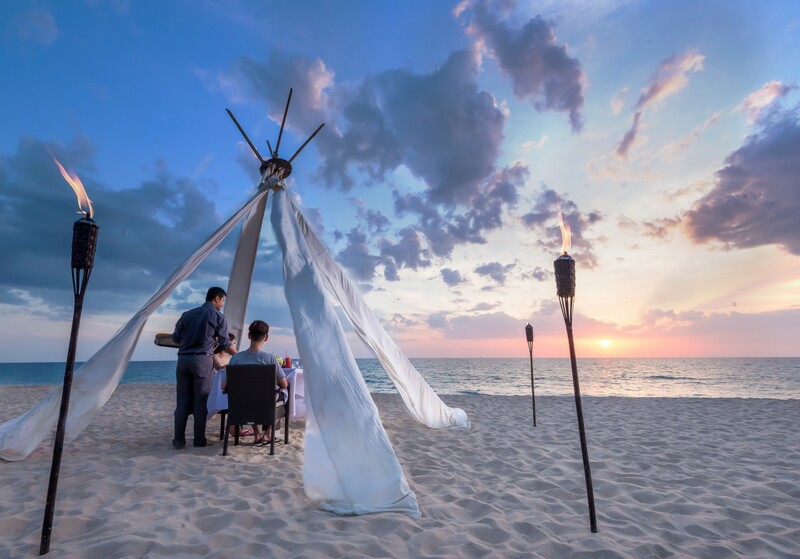 As the sun sets over the Andaman Sea (and boy does the sun know how to set memorably here) it’s time to get your kaftan on and waft down to The Edge Beachfront Restaurant to get your tastebuds tickled with the exquisite creative fine dining. Grab a seat by the ocean and take in the fresh sea breeze as you peruse the menu which offers innovative Thai and fusion delights such as pork neck with madras, banana, granola (yep… and it’s amazing), a quick cured mackerel, with cucumber, daikon and guava, St Jacques scallops, atop a dill sheet, grilled baby carrots, and coconut gel drops (a mouth explosion!) duck eggs, with leek, porridge and buffalo milk (exquisite!). And leave room for The Honey Bee; honeycomb, bee pollen and jasmine – you’ll be buzzing all night!! As you head back to your room, with every intention that you’ll sign up to the personalised cooking classes here tomorrow, you’ll notice the pool now sparkling with mini stars twinkling at the bottom. They mirror the perfectly clear starry skies above, and if you’re lucky, you may even spot a shooting star. I wished that my stay here would never end. On site you can greet the sunrise with Tai Chi on the beach, partake in wellness classes such as muay thai, yoga, pilates and even yogilates! 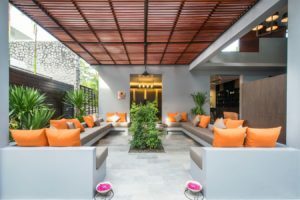 If you can prise yourself away from Aleenta, there are plenty of things to keep you busy like charter a yacht, play golf, go cycling, deep sea fishing or dive the breathtaking Similan Islands which are just an hour away by speedboat. Bottom Line: Aleenta in Sanskrit means “A rewarding life”. I rest my case. Life rewarded.